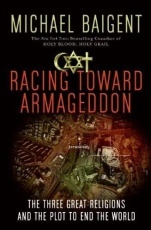 Will current generations live to see Armageddon? Are there really sinister forces at work, encouraging its imminent arrival? If so, who exactly are they? In his latest investigative book Michael Baigent takes us to the assembly hall of the UN, the boardrooms of major businesses and powerful lobbying groups, the cabinet meetings of world leaders, the ranches of cattle breeders, the churches of the faithful, and the narrow winding streets of modern Jerusalem, revealing to us the many diverse, public, and clandestine figures behind a perilous messianic agenda. By unveiling truly bizarre alliances, revisiting centuries-old ghostly events still haunting the birthplaces of religion, unraveling complex threads of history to discern the difference between myth and prophecy, and providing a thorough explication of the religious texts underlying all of this madness in the context of the times in which they were written, Baigent presents a very different view of the past, present, and future than that perpetuated by many loose interpretations of scripture. What are faith force multipliers? Which members of the U.S. military top brass have fought to employ them? Which world leader belongs to a secret messianic society called the Hojjatieh? What is the Chalcedon Foundation? And what is the correlation between its tenets, those of sharia law, and the fulfillment of end-time prophecies? The answers to these questions and others will intrigue, mystify, and enrage you, whether you're a person of faith or a staunch secularist. But the author's goal is not simply to shock the reader -- it is to help diffuse the time bomb that has been set by the hard-liners of Judaism, Christianity, and Islam. In the end, Baigent asks these questions to deliver an urgent message: that spiritual yearning is actually a deep and personal issue of awareness, one that can bring hope and tolerance to the world, rather than the self-superiority and control that are born of fear and conflict.